There’s an often-told old joke about Florida: instead of the northern mockingbird, the official state bird should be the construction crane. In recent years, flocks of these steel towers have nested over hospital building sites in nearly two dozen communities throughout the state. What forces are driving this migration to hospital construction? If a hospital wants to renovate, expand or construct anywhere in the state, a letter of intent to file a Certificate of Need (CON) application must be filed with Florida’s Agency for Health Care Administration (AHCA). The agency’s office of Plans and Construction then determines if it merits approval. Hospitals in the more rural Calhoun, Franklin, Gulf, Madison and Taylor counties are exempt from CON review. Editor’s note: There is proposed Florida Senate legislation to limit this process. Gov. Rick Scott has already stated his desire to eliminate it entirely. So why has the AHCA approved 22 new hospitals in the past five years? One reason is obvious: Florida’s population continues to grow at a very rapid rate and aging baby boomers are getting grayer. As more people with medical needs arrive, Florida must have more beds to put them in. According to the AHCA’s own estimates, the state grew from 18.9 million in 2011 to 19.5 million in 2015. By 2030, Florida’s total population is projected to be 29 million. Another key driver is the rapidly advancing pace of modern medical technology, which can be challenging to incorporate into the design of older hospitals. Some examples of these latest tools were shown in January at the Orlando Science Center’s Otronicon. Orlando-based Florida Hospital displayed such med-tech as a da Vinci surgical robot, brain mapping, cloud business intelligence and, most important to patients, modern room designs. In the past, many hospital rooms could generously be described as Spartan. That’s not the case at the brand new, 400,000-square-foot Florida Hospital for Women, the centerpiece of Florida Hospital’s 100-acre Health Village located adjacent to a SunRail commuter station in Orlando. 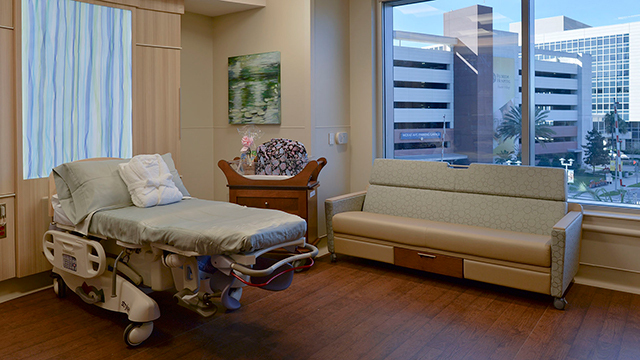 Rooms at the Florida Hospital for Women are designed with patient comfort and personal care in mind. Much of the input came from focus groups that tested and critiqued model rooms created prior to the design phase. “The number one request was for a highly controllable room environment,” said Vargas. In the first year alone, officials expect 20,000 patients to check into the Florida Hospital for Women. Since Central Florida’s population is expected to reach 2.6 million by 2030, two floors are unfinished and reserved for future expansion. During Florida Hospital’s founding days 100 years ago, a local group of Seventh-day Adventists, with only $4.83 in the treasury, made a faith offer of $9,000 to buy 72 acres of land which included a frame farmhouse and a few small cottages. Today, the $180-million Florida Hospital for Women is just one part of the company’s future vision for Central Florida. Three of Florida Hospital’s other nine facilities across Orange, Osceola and Seminole counties are new, recently renovated or under construction. The 10-story Orlando Regional Medical Center North Tower has 245 private beds. In summer 2015, Florida Hospital Kissimmee’s new 80-bed patient tower opened. Rooms are private, a first at that location, and large enough for family members to stay with patients. The multiphase, $80-million expansion also includes extensive renovation of the existing hospital. The three-story, 97,000-square-foot Florida Hospital Winter Garden will soon open with a stand-alone, 24/7 emergency department, an imaging center, outpatient laboratory, outpatient surgery, sports medicine and rehabilitation, and access to multispecialty physician practices. 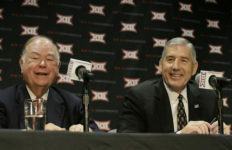 The new facility will be built at a cost of $65 million. Florida Hospital Apopka near the city’s downtown area is targeted for completion sometime next year. The population of Orange County’s second-largest city has mushroomed to more than 41,000. The current, 50-bed acute care hospital on Park Avenue saw more than 39,000 emergency visits, 18,000 outpatient visits and 3,000 inpatients last year. Once the new hospital is finished, the old site will be repurposed into an active senior living community for nearly 400. Florida Hospital also works to keep its existing hospitals on the leading edge of medical innovation. In September 2015, Florida Hospital East Orlando opened a 24/7 specialized emergency department exclusively for children, with 12 private rooms and access to specialized pediatric physicians via telemedicine. Each of Florida Hospital’s new buildings has full Wi-Fi capabilities, enabling such medical equipment as vital sign monitors to communicate wirelessly with patient records. 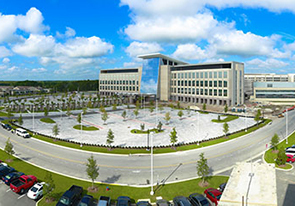 The new Orlando VA Medical Center in Lake Nona. “Our new buildings also feature systems to wirelessly monitor environmental air temperature, water temperature and humidity, which is critical in surgical areas,” said Tim Burrill, Florida Hospital’s vice president of support services and construction. Orlando Health, another Central Florida hospital network, established in 1918, has seen its own share of growth. The $2.1 billion not-for-profit health-care organization, will open its $25 million state-of-the-art Proton Therapy Center at UF Health Cancer Center in downtown Orlando this summer. It is one of only six proton accelerators in the world that uses proton beam radiation to treat cancer. 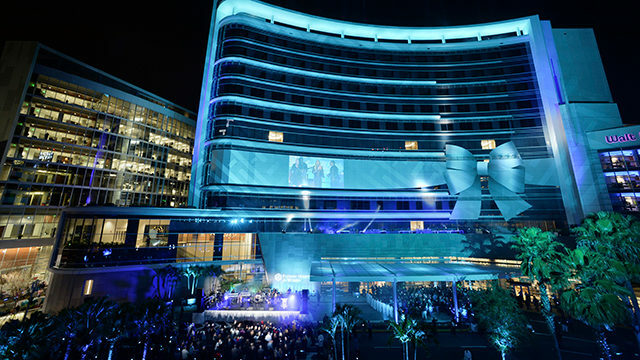 Last year it opened a new 245-bed, 10-story North Patient Tower at Orlando Regional Medical Center with all private rooms, centralized registration, in-room computers, among other amenities including concierge services. Its South Tower expansion was also completed last year. The entire redesign and renovation project cost $297 million. 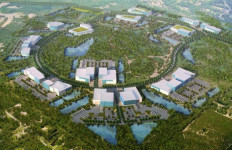 And the 650-acre health and life sciences park in Orlando called Lake Nona Medical City has new additions planned to its impressive line-up of hospitals and health-care facilities. 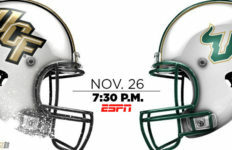 Currently it is home to the University of Central Florida College of Medicine, Nemours Children’s Hospital, the Sanford-Burnham Medical Institute and the recently opened V.A. Hospital. More about this crown jewel in the VA health care system in Part 2, along with healthy new hospital construction taking place throughout Florida. Lead Photo: Orlando’s Florida Hospital for Women grand opening in January.